Obama, pope, "negroes" question: "Migrants," actually. 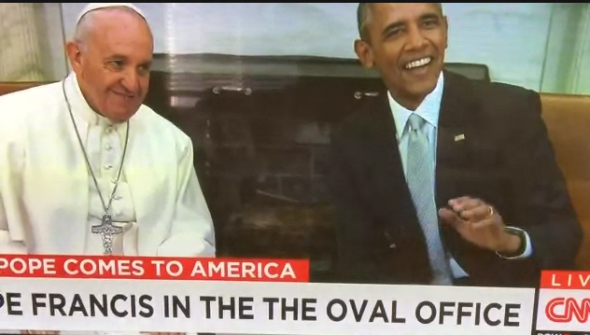 Obama and Francis declined the invitation. Hold TF up!!!! "Why don't you say something about the negroes?" However, other accounts of the question indicate that the question was about “migrants,” not “negroes,” and the audio in the video below seems to back that up.